If you are planning to visit (or even move) to Australia it is worth knowing some of the things NOT to do when you are in the country. 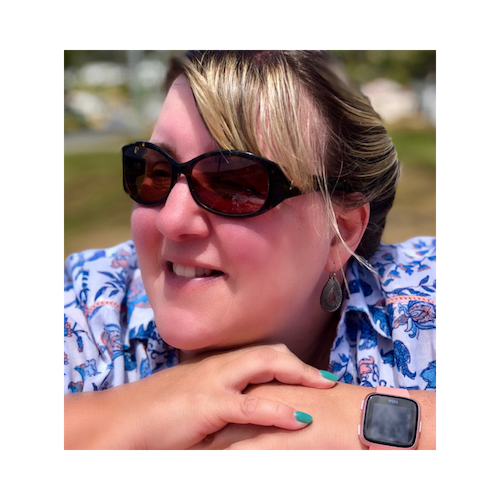 I have lived in Australia for nearly 2 years and have learnt so much since I have been here – mainly by trial and error! 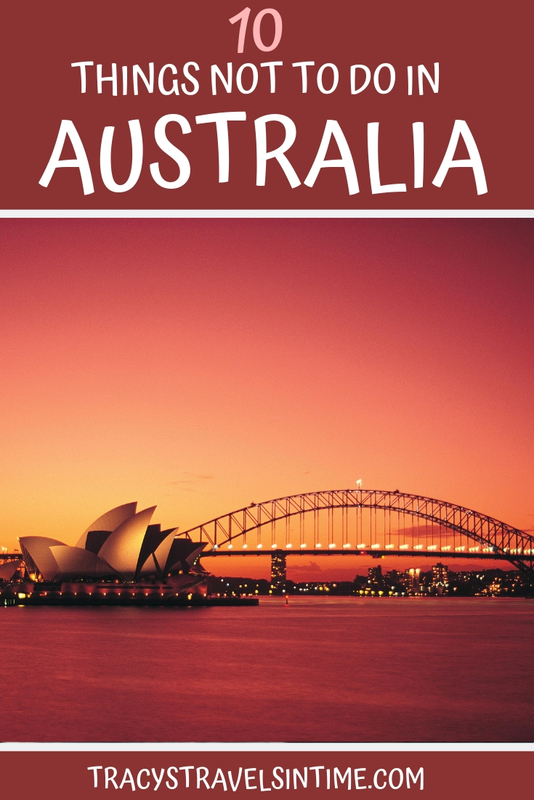 If you want to know more about living and working in Australia or traveling the continent there are lots of links to relevant information in this post too. Australia has one the highest incidences of skin cancer in the world so ensuring you take adequate precautions is ESSENTIAL. Always wear a hat preferably wide brimmed so it covers your neck and shades your face. If you are swimming I would suggest a rashie or t-shirt to protect your shoulders/back and chest from the sun’s rays. Sunglasses, hats and high factor sunscreen are always in my car/bag and are necessary throughout the year. It is possible to be sunburnt through car windows too so ensure you use sunscreen if your windows are not tinted. The UV index (for ultraviolet radiation) can be extremely high even on cool and overcast days so it is really important to check the UV Index number each day. I have known it be as high as 17 and considering anything over 3 requires sun protection measures it gives an indication of the dangers from the sun in Australia. UV radiation is not related to how cold or hot it is and it is possible to still get burnt on cloudy days. Overexposure to UV leads to wrinkles, skin and eye damage and ultimately skin cancer so make sure to apply suncream on your face as part of your daily routine. Seeing the skin of some older Australian women who have clearly had too much UV exposure and are prematurely wrinkled and sun damaged will also motivate you. Lots of makeup has a sunscreen included too. If you are not used to sunshine (anyone from the UK?) the strength of the sun in Australia can be deceptive so try to stagger your time on the beach/by the pool. We limit our beach time in the summer and take a beach tent to use when we want some shade. 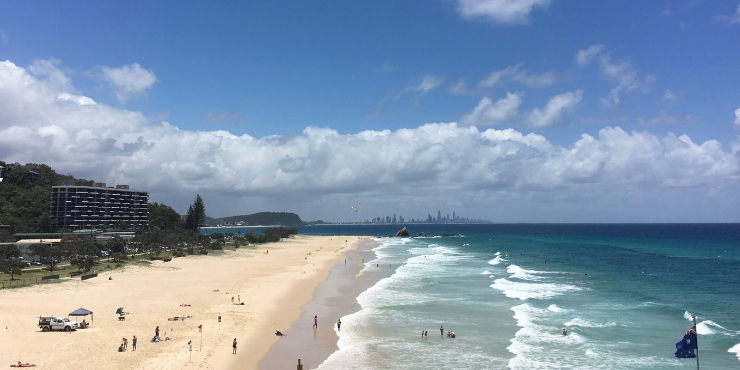 Read my essential packing list for the beach in Australia – we keep everything in the car so we can take off and go on days off work. Check out the Bureau of Meteorology for more information as well as the Australian Cancer Council. If you are only visiting Australia for a few weeks try not to over plan your trip. The country is huge and you will either find yourself flying large distances or spending too much time in the car. Obviously if you are spending longer it is easier to do road trips and see more of the country but it is still impossible to see everything Australia has to offer in a short trip. I would suggest pinpointing a few things you really want to do and building an itinerary round those. Consider the time of year you are visiting too. Traveling to Far Northern Queensland during the wet may mean storms, cyclones and very hot humid weather. The summer months in Australia are best spent exploring Tasmania, NSW, Victoria, SE Queensland and South Australia when it will still be hot but more comfortable. Head for the Northern Territory, Northern Queensland and northern parts of Western Australia during the winter months when it will be dry and less humid. If Sydney and Melbourne are on your ‘must visit’ list I would also suggest only spending a few days in each. There is so much more to Australia than these 2 places so make time to get out and about to see more of the countryside. DON’T DRIVE TOO FAST/AT NIGHT/TOO FAR/ ON THE RIGHT! Australia was made for road trips and there are some truly iconic drives you can take across the country. However there are some important things to know to keep you safe. Firstly if you are used to driving on the wrong side of the road (aka the right) you will find that this is NOT the side we drive on in Australia. Apparently it can be such as issue for visitors that hire cars now have stickers on windscreens to alert visitors. So stick to the left. Secondly don’t try to drive too far in a day. Distances are huge for example a drive from Brisbane to Cairns will take 19 hours. Don’t try and cover too much in a day and build a road trip itinerary with stops along the way. If you need to get from A to B quickly book a flight don’t drive. Thirdly don’t drive at dawn/dusk/night if you can avoid it in rural and bushland areas. 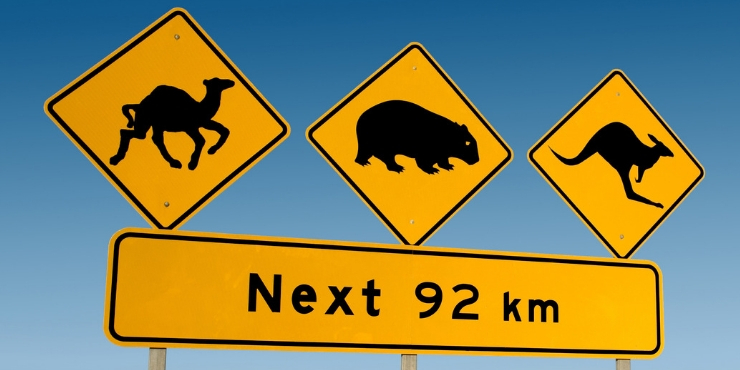 This is the time when kangaroos, wallabies and other wildlife will be looking for food and too often end up on roads. Watch out for signs that animals may be a danger and slow down if you see an animal on the road. If you see an animal on the side of the road slow down as they may panic and jump in front of you. If you do hit an animal call the state or territory wildlife rescue who will be able to help. It is also important not to speed unless you want to lots of fines. The police are red hot on speeding and use mobile traps including some in unmarked parked cars. Also be careful in school zones between the hours of 7-9 and 2-4 during term time as the speed limit drops to maximum 40. 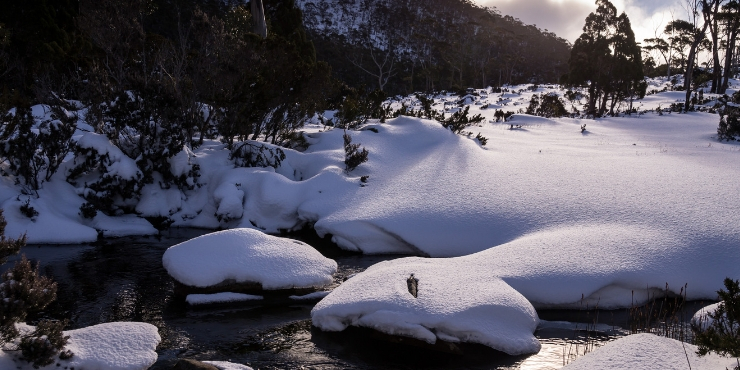 Although most of Australia is pretty hot in the summer (and scorching in some places) the Aussie winter can bring some pretty cold temperatures to some parts of the country. Yep in Brisbane it can even get as low as 11 degrees so socks, boots, hats, scarves and jumpers are essential to make sure you don’t freeze to death when temperatures dip below 22 degrees. Seriously though there are parts of the country where snow is the norm such as on higher ground in Tasmania, NSW and Victoria. To a lesser degree the winters bring cooler temperatures to SE Queensland. During the winters many grey nomads make the journey in their caravans and motorhomes to sit out the cold months in the warmer temperatures of Northern Queensland. So when packing for your Aussie holiday (or move) do check out the expected temperatures (and rainfall) for the months when you are visiting and pack accordingly. Although it is hard to spot koala in the wild there are some places in each state where your chances are increased. 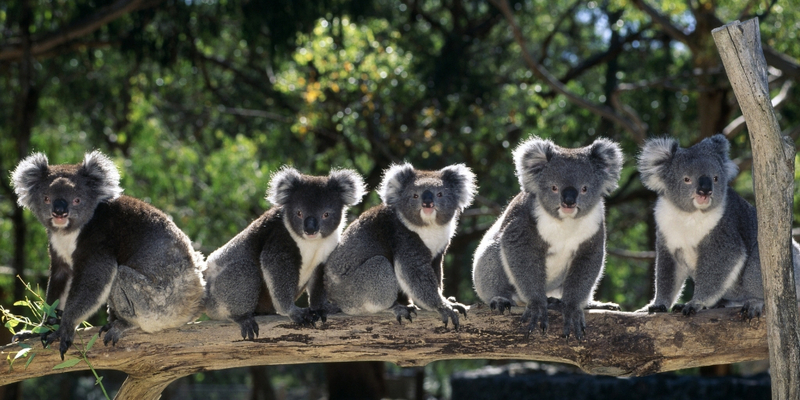 In Queensland the koala are smaller than their southern cousins. 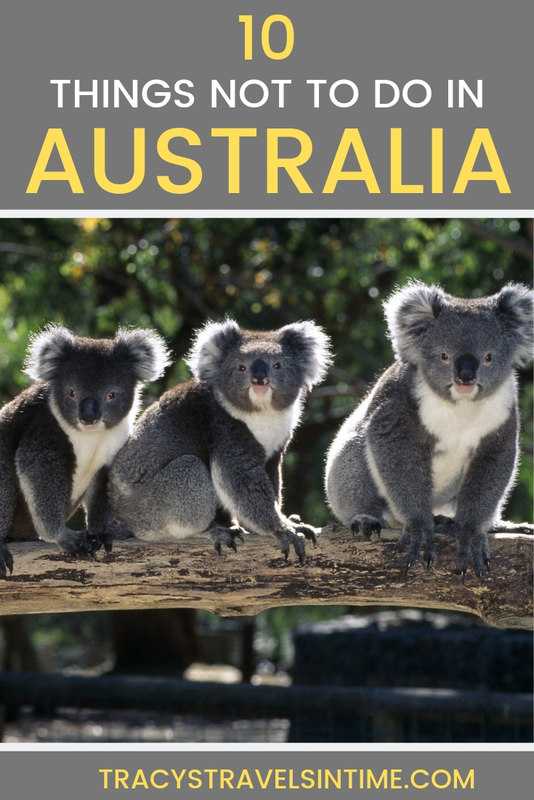 Three of the best places to spot koala in Queensland are at Noosa National Park, Daisy Hill Koala Park in Brisbane and Magnetic Island near Townsville. In Victoria head to Kennet River on the Great Ocean Road. In South Australia head to Kangaroo Island. In NSW head to Tucki Tucki Nature Reserve an hour’s drive from Byron Bay. As well as giving them food which can be harmful to their health there is also a risk the animals will lose their wariness around humans/cars/car parks. If you visit Cradle Mountain in Tasmania the wombats are extremely placid and used to humans but there have been incidents of cars running them over in the car park. If you want to feed a kangaroo or get a little closer to the wildlife I would suggest a visit to one of the many animal sanctuaries in Australia. 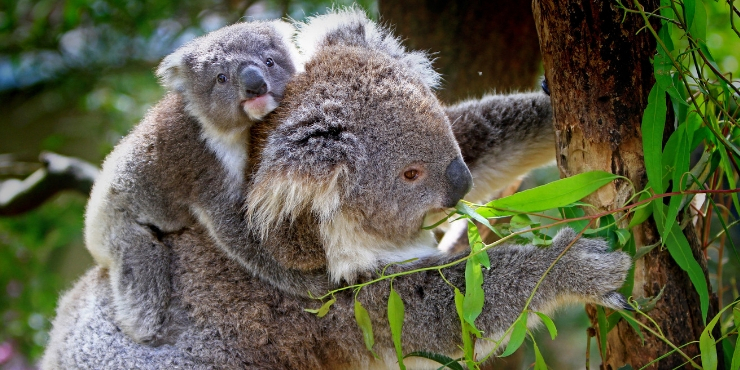 Cuddling a koala is only allowed in Queensland and New South Wales at animal sanctuaries and zoos such as Lone Pine Koala Sanctuary in Brisbane and Currumbin Wildlife Sanctuary on the Gold Coast. It is important to stay safe on Australian beaches and in the sea. Every year hundreds of people are rescued off the coast after getting into trouble in the water. Rips are the biggest ocean killer and can sweep even the strongest swimmer out to sea. If you are planning to swim the safest place to do this is on a patrolled beach between the red and yellow flags. Stingers can be found in the tropical waters off the coast of Queensland, across Northern Australia and as far south as Broome in Western Australia. The Irukandji and Box Jellyfish are both lethal and their sting can be life threatening. 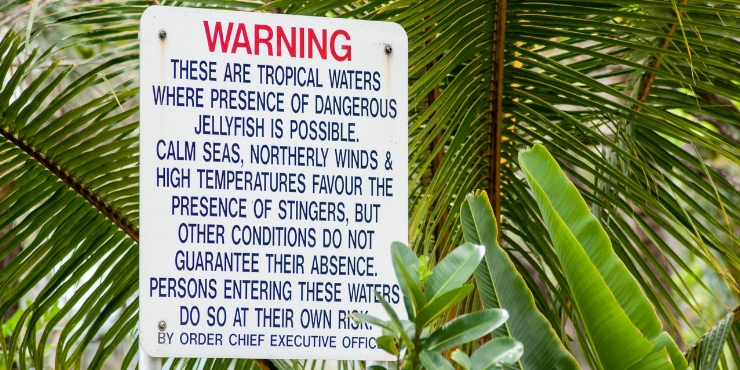 Do not ignore any signs warning of the possibility of jellyfish in the area and if you decide to enter the water wear a stinger suit (a full body lycra suit) to give some protection especially during stinger season. Australians claim to have the best coffee in the world. Although only 42nd in the world for coffee consumption Australians love their coffee. As well as great coffee Australian cafes serve up the best breakfasts in the world too. Eggs benedict, smashed avo, and other delicious menu options mean you are spoilt for choice. 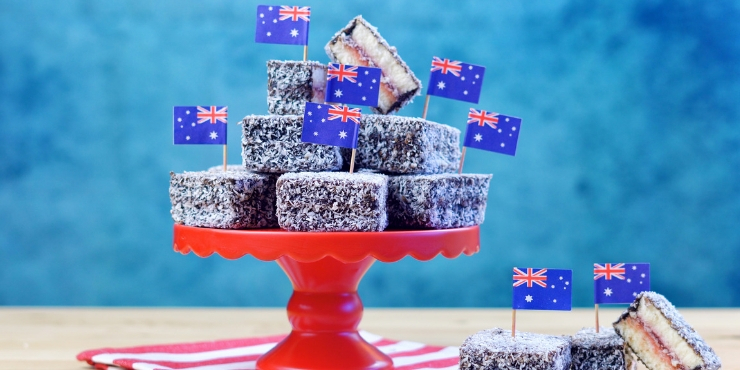 Other iconic foods which have to be tried include marmite, Tim Tams and Lamingtons. And of course you have to do the Tim Tam slam! The words (I’ll slip an extra shrimp on the barbie for you) were uttered by Paul Hogan as part of an Australian Tourist advert in the 1980’s have become synonymous with Australia. However the phrase (served up for an American audience) and since transformed into the phrase we recognise today is not something you will ever hear in Oz. So best avoided really. 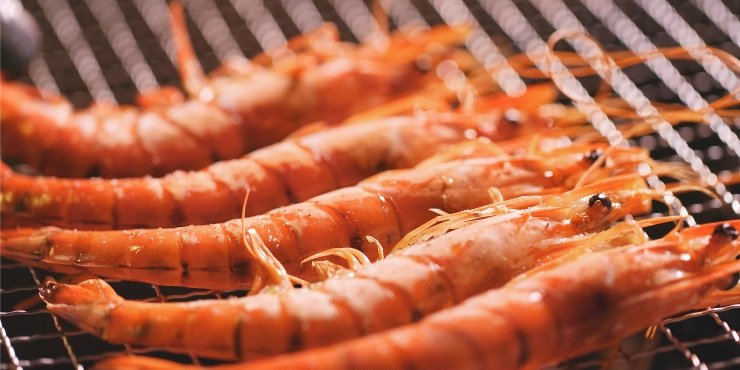 Note – shrimps are called prawns in Australia! 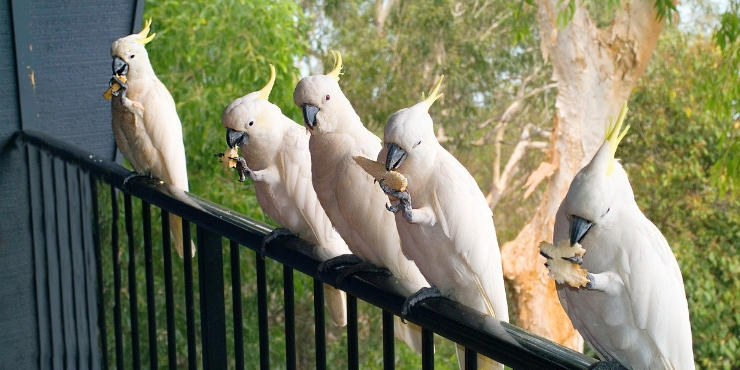 YOU MAY ENJOY – A guide to Aussie slang mate! It is important to stay hydrated in Australia particularly in summer when the temperatures can be extreme. 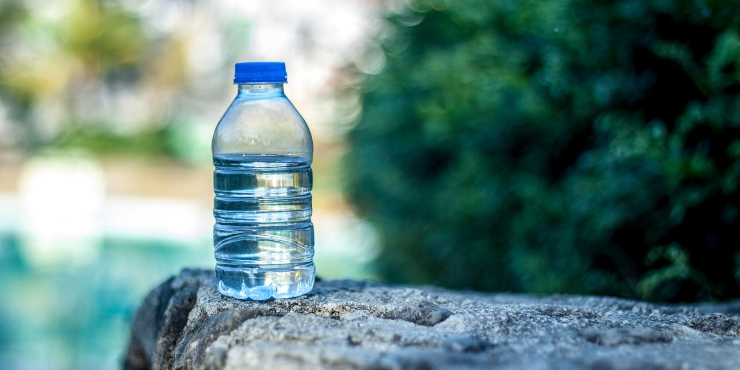 You will find more restaurants will provide tap water to customers free of charge. I also always carry a water bottle with me even when I go out for a short time to ensure that I keep hydrated. If you are out for a drink also have a glass of water too as this will ensure you stay hydrated. If you are traveling up the coast check out my posts about Bowen, Mackay and Whitehaven Beach. If you are visiting Brisbane you can find out more about what there is to do in and around the city including South Bank , Mount Tamborine and the Sunshine Coast Hinterland. 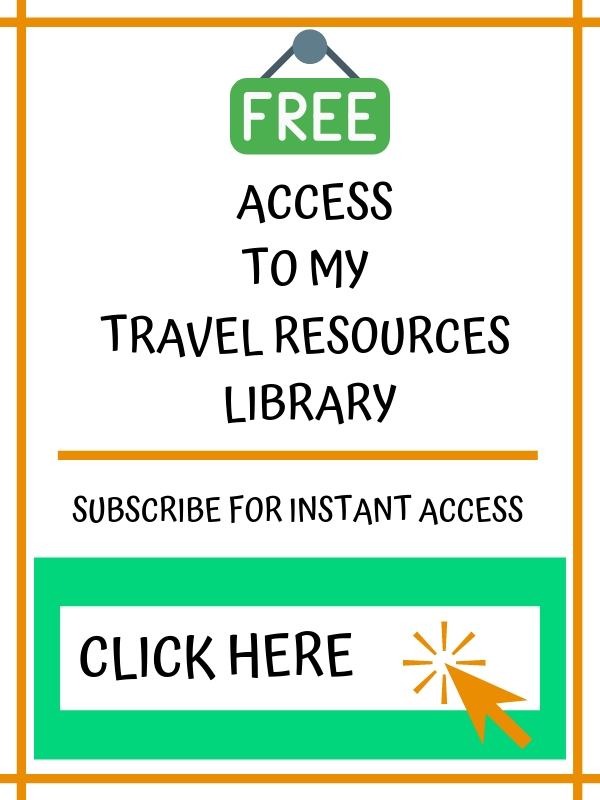 Previous Post What to wear on safari in South Africa – a complete packing guide. 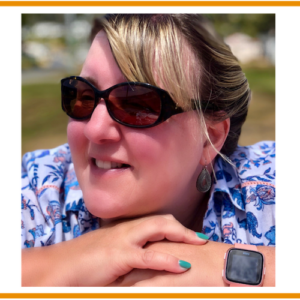 Great to see a new post on your blog after your hectic few months! 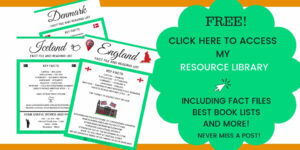 Looking forward to reading more, especially the ‘essential kit for travelling’ ? Will get that one up asap Linda! Sounds like you’re having an incredible time!! I can’t wait to read all about your new home and your adventures around Asia and Dubai! I love reading about Australia from your perspective, Tracy. We visited twice, but I am sure it’s very different when you actually move to live there. It’s such a beautiful area to live in too! And just think of it – sunshine the whole year round (fingers crossed for not too many cyclones). Even kookaburras bite? Wow! Australia really does have a lot of dangerous animals! Glad to hear you are settling in down under. Will be interesting to see how your house sit goes. It’s something we’ve thought about. It’s kind of the scary of the things that I have to search before taking a dip! But besides that the photos look really gorgeous, thank you for sharing your experience with us! I wondered where you you ended up. I remember way back you were considering Melbourne as well as somewhere in Qld. So Mackay won, I think you’ll love it! Looking forward to what’s coming up on your blog. I love little snippets from “home”. Glad you’re settling in. You are up to a lot of work with the many post you are going to write. I’m pretty sure it will be very hard to sit on your computer at such a beautiful place. My son has been in Brisbane for nine month to learn English. He had a wonderful time. Enjoy your time! Great stuff – I lived in QLD for 6 years on the Gold Coast. While the weather is much better that the UK, the Cyclones are what stopped me wanting to live any further up. I spend my first Australia day in MacKay and after we left a cyclone hit. We ended up in Cairns for 2 weeks waiting for the cyclone to go and the highway to unflood! Yes its not something I am looking forward to! We are enjoying exploring this area for now but are wary of those cyclones! Looks like you’re really settling in well! I love that most of the things you’ve learnt consist of animals that could kill you! Stay safe and enjoy! I know!!! But important to know the stuff – my daughter had an encounter with a snake a few days ago luckily one of the harmless ones but you never know! 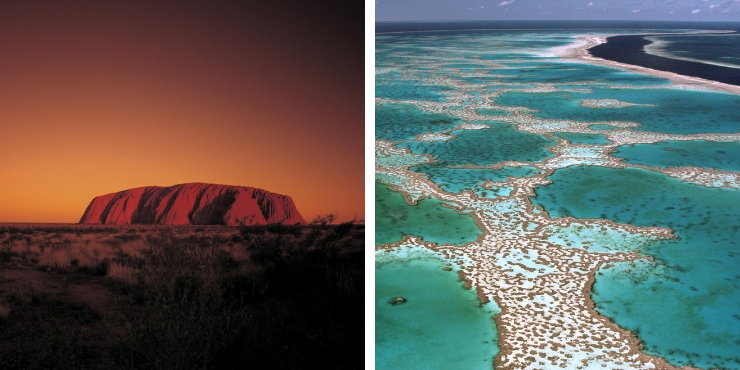 Now you are living in Australia you’ll be able to discover the UNESCO sites over there! I’m looking forward to reading your posts on your journey over there as you visited many beautiful countries on the way! Yes looking forward to seeing more of Australia! I think I will start writing up about Penang as it was my favourite destination we visited on our way over – we loved it! So true about the second hand cars! I was not expecting that at all. Even though you’re really quite far away from us, I hope we’ll be able to meet on your next trip down south! I’m really glad you’re settling in ok, Mackay sounds like *proper* Australia if you know what I mean. Sydney seems quite wussy in comparison! Definitely Rachel! Yes it really is – last week my daughter had a snake slither past her as she walked out the back gate of the house!!!!! !